Lamborghini R&D boss Maurizio Reggiani in January confirmed to Motor Authority that the Aventador successor will maintain a naturally aspirated V-12, albeit with some form of electrification to help get its emissions down. Now he’s assured Car and Driver that the Huracán successor will maintain a V-10, which once again will be music to the ears of anyone with gasoline in their veins. “I think in the field where the Huracán is, the effect of having two cylinders more than all the other competitors will be a big difference,” Reggiani told the magazine during the reveal of the Huracán Performante Spyder at last week’s 2018 Geneva International Motor Show. The competitors he’s referring to are cars like the Ferrari 488 GTB and McLaren 720S, both of which come with twin-turbocharged V-8s. However, Reggiani hinted that the Huracán successor, like the Aventador successor, will likely require electrification to get its emissions in line with the latest regulatory requirements. “Afterward, I need some support [to meet regulatory demands], but the emotion is sound, and the reaction you have in a 10-cylinder engine you cannot have from any other kind,” he said. In his interview with Car and Driver, Reggiani also said the Huracán successor will have a rear-wheel-drive option, just like the Huracán. While not a popular option, he said there remains a type of buyer that appreciates the loads of oversteer it delivers. The Huracán successor is still quite some time off, however, as the Huracán itself only bowed in 2014. 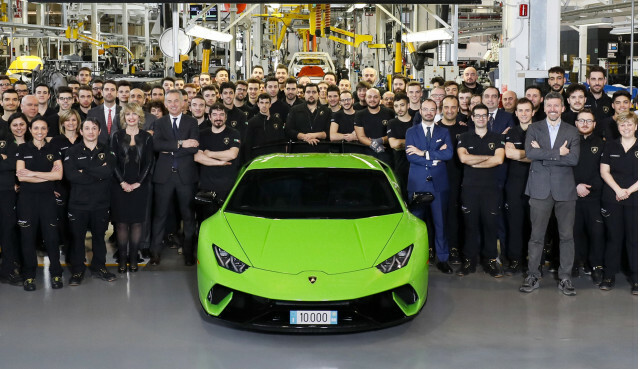 On Tuesday, Lamborghini celebrated the manufacture of the 10,000th example, a Huracán Performante coupe destined for a customer in Canada. The most popular Lamborghini to date is the Gallardo, which racked up 14,022 sales during its 10-year lifespan. At the current rate, the Huracán looks set to smash that record. Is the Sigma 14mm f/1.8 Art Lens an Astrophotographer’s Dream?